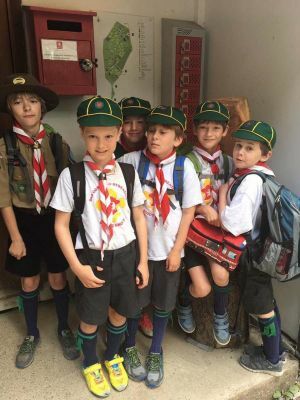 Cubs and Scouts took part in an activity at Youlbury Scout Activity Centre. 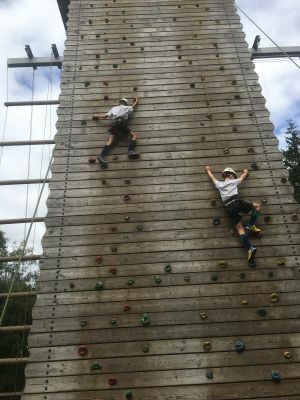 The first activity was climbing on the inclined climbing wall, as well as the actual climbing, all had a go at belaying too. Although not all made it to top, everybody pushed himself outside of his comfort zone, which was commendable. After this we had crate stacking whereby two people that were on top of crates, had to build them increasingly high without falling off! The maximum possible was 13. Those on the crates were on harnesses and belayed by people below so that they would not fall off when the creates did eventually collapse, which was an inevitability! 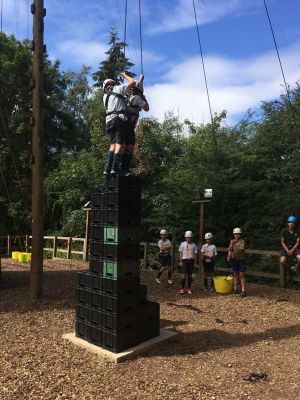 As the crates got higher and higher they did become very unstable, which made this particularly challenging! 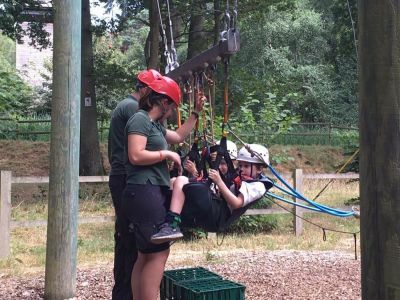 After a spot on lunch, the next activity was abseiling. 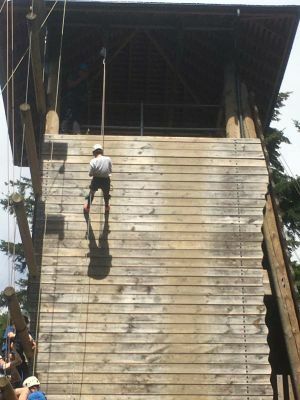 The hardest part for most was the psychological challenge of leaning back off the edge of the wall and then letting go of the wall with your hand. Once aligned it is quite simple to walk or leap down the wall, as long as you don�t look down! The last activity was the 3G swing, so called because it is supposed to generate 3 times the force of gravity. Two people at a time are strapped into what appears to be a paragliding harness, and then winched up so that the swing arm is quite a bit more than 90 degrees from the point of vertical, and then someone has to release the pin, which causes the swing to fall. Think I would agree with the 3G claim after experiencing the feeling of leaving ones stomach at the top. The first 3 swings are quite violent, and then they decrease to a gentle swing. Everybody tried this, and many wanted additional goes! Well done to everybody for having a go at everything and trying new things! On the way back we stopped for a milkshake and then returned back to Goring.